Philips is showcasing its mission of improving people’s lives through meaningful innovations with the latest #InSicknessandHealth campaign. Working with iris Singapore, it has released two content films. 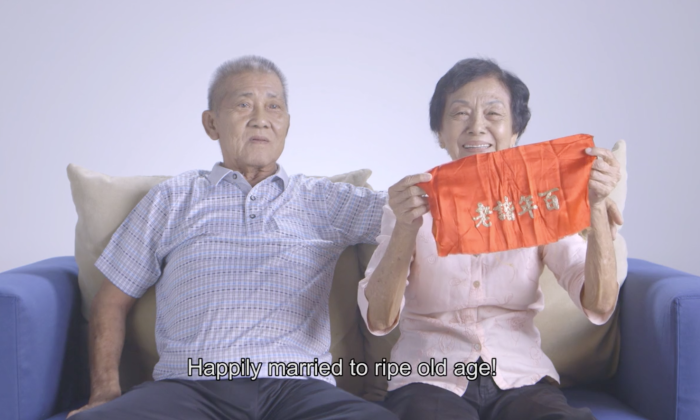 Philips shows what it means to elderly couples when the vow to love one another in sickness and in health. According to the company, the subject of healthcare can be both sensitive and complex for Singapore’s ageing population. There often exists an unspoken tension between the caregiver and the one cared for. Through the campaign, it wants to encourage Singaporeans to come forward with their own personal care giving stories. Both films follow the lives of two loving pioneer generation couples and how they faced the trials and tribulations of a serious illness together. The sheer honesty captured in the film underscores that preserving health is also preserving the precious relationships we hold dear. With the heartfelt interviews, the team wishes to cast a spotlight on the common attitudes and mindsets held by Singapore’s elderly towards caregiving. The first film received tremendous response with over 299k views and more than 40 individuals have taken to Philips’ Facebook to share their real-life experiences. With the positive feedback, the team launched the second video in an effort to continue to resonate and touch the heart of Singaporeans. As we step into the final weeks of 2013 we'd like to thank all of our readers and partners for your continued support throughout 2..
ABS-CBN Corporation forcasts that booming consumer sales will eventually make it less dependent from traditional ad revenue stream..